5 foods you NEED to be eating in the New Year - Real Food. Real Fitness. Out with the old and in with the new right? WRONG! Out with the new and in with the OLD is more like it! When it comes to nutrition going back to what our ancestors ate before processed packaged food and factory farming came into play is key to better health. Here are 5 old traditional nutrient dense foods you need to be eating in the New Year. Kefir contains high levels of thiamin, B12, calcium, folate, and vitamin K2. It contains high levels of highly beneficial bacteria and yeasts. Kefir is rich in amino acids that promote healing and repair. Kefir is also a great source of minerals. Drinking kefir helps prevent gastrointestinal diseases and is good for your bones. Certain compounds in kefir may play a role in regulating immune function, allergic response, and inflammation. 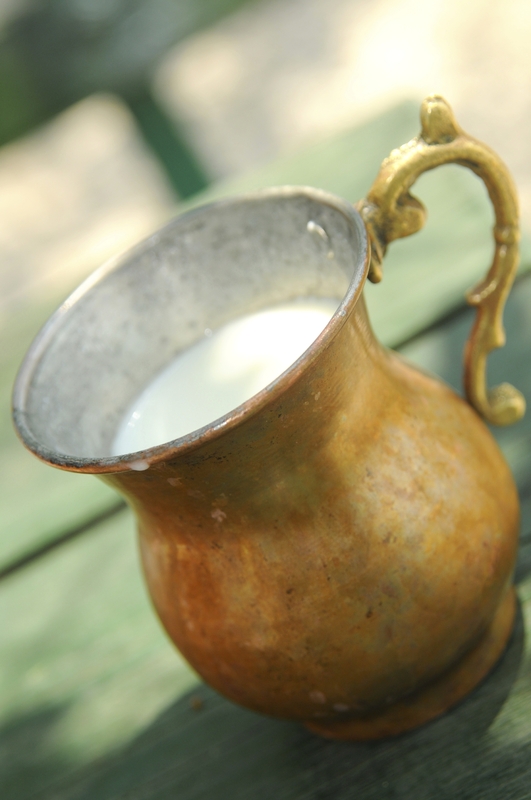 Research has even shown kefir to have an anti-tumor effect and when rubbed on the skin can help with wound healing! This amazing super food is best raw. But finding raw kefir is not always the easiest. Second best would be full fat PLAIN kefir from grass fed cows found at most health food stores. Try adding this delicious sourish drink to your everyday diet in the New Year! Fermenting vegetables improves the digestibility and helps restore the proper balance of bacteria in the gut. Raw fermented veggies are rich in enzymes which are needed to adequately digest, absorb, and utilize the nutrients in your food. Fermenting food actually increases the vitamin content and helps us to absorb the nutrients we are consuming. Fermented veggies can be homemade or you can find many right at the grocery store. The key to look for is that the product is a raw ferment with no additives. Some examples include raw sauerkraut, and kim chi though you can ferment all kinds of veggies. A popular fermented tea called kombucha is worth trying. Here is a ferment you can try at home. 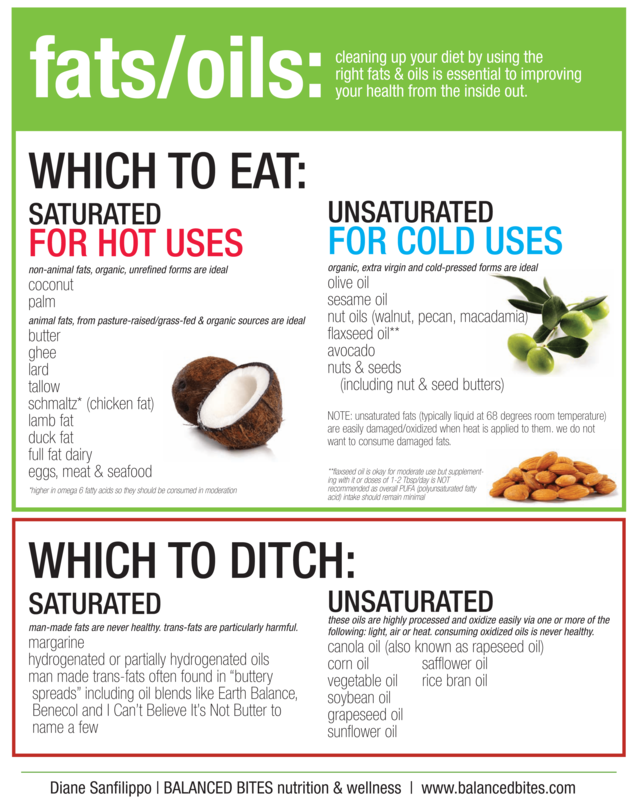 Drop the grain carbohydrates and start focusing on getting more healthy fats into every meal. Healthy fats play a huge role in helping you manage your moods, stay on top of your mental game, fight fatigue, and even control your weight. Some examples include avocado, olives, raw sprouted nuts/seeds, raw cheese, extra virgin olive oil, coconut meat, coconut oil/manna, and grass fed butter. Here is a helpful chart via balancedbites.com to follow. 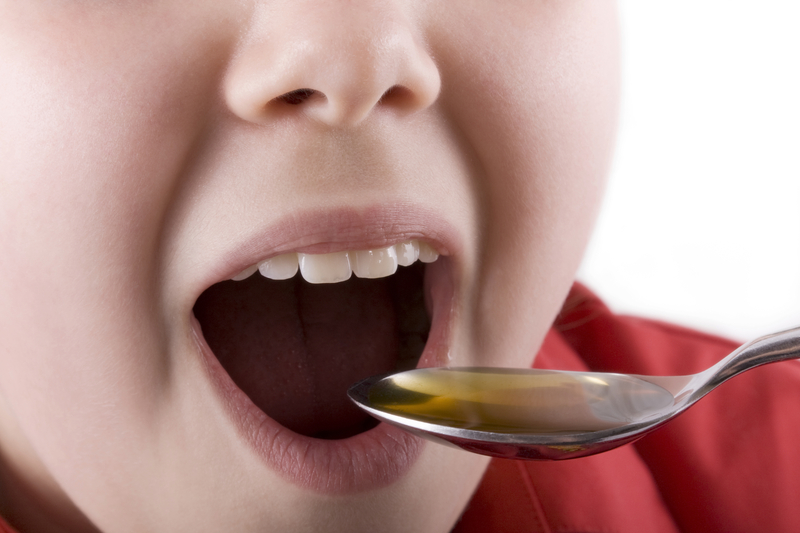 Fermented cod liver oil is a traditional superfood. The benefits of taking this all-encompassing essential fat are endless. FCLO contains high levels of fat-soluble vitamins A, D, and K. These are super important in strengthening immunity and overall vitality. These fat-soluble vitamins help to absorb minerals from the food you are eating. FCLO contains omega 3’s and fatty acids DHA and EPA. These are essential for brain development, hormonal balance, and even vision. I recommend Green Pasture fermented cod liver oil (plain flavor or cinnamon) from Radiant Life Company. Another great brand is Nordic Naturals found here. I buy the capsules though my kids take it best right from the spoon. Organ meats are extremely high in NATURAL vitamin A, which is crucial for your health and may even prevent birth defects. LIVER is one of the most nutritionally dense foods in existence. It is also abundant in iron, choline, copper, folic acid, B vitamins, purines and natural cholesterol. For some like myself the taste of liver is strong so I “hide” it in ground grass fed beef. Here is how I like to sneak in liver into my family’s diet! I use livers from organic pastured soy-free chickens (the taste is a little bit more palatable to me than beef), Next I puree, sauté’ in ghee/coconut oil, then mix in with ground grass fed beef. You would never know it mixes in so well! 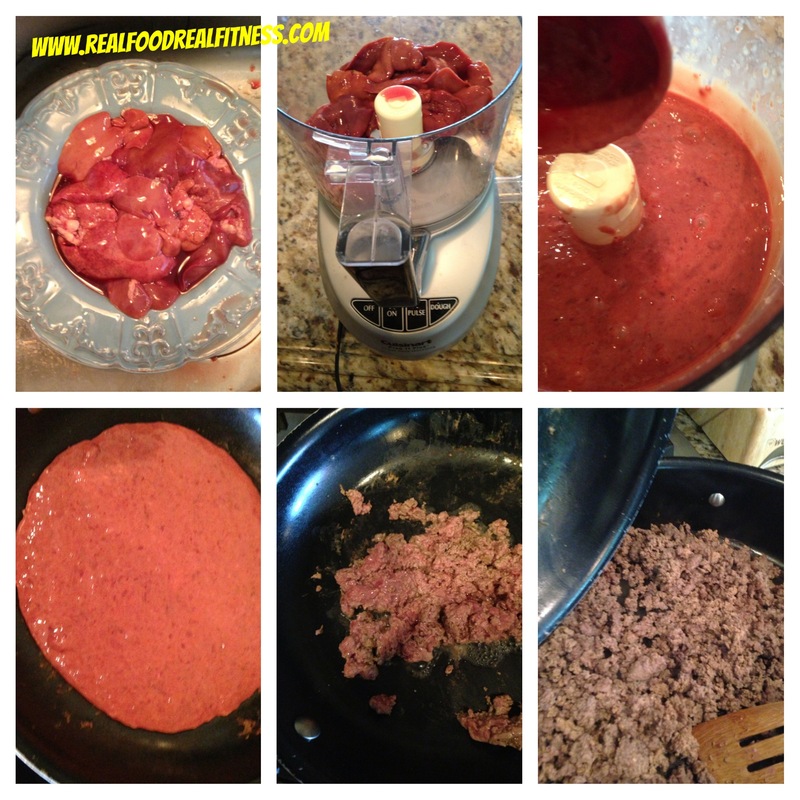 Then I take this ground liver and beef and use it for any recipe that calls for ground meat such as chili or meatballs. Incorporating these 5 traditional nutrient dense foods will enhance the quality of your families health. It will instill a taste and liking for these healthy foods that will stay with your children all their lives. By eating these foods weekly you will give yourself a hearty boost in the New Year!